This post is brought to you by RYOBI Powertools, but all opinions are those of Thrift Diving. 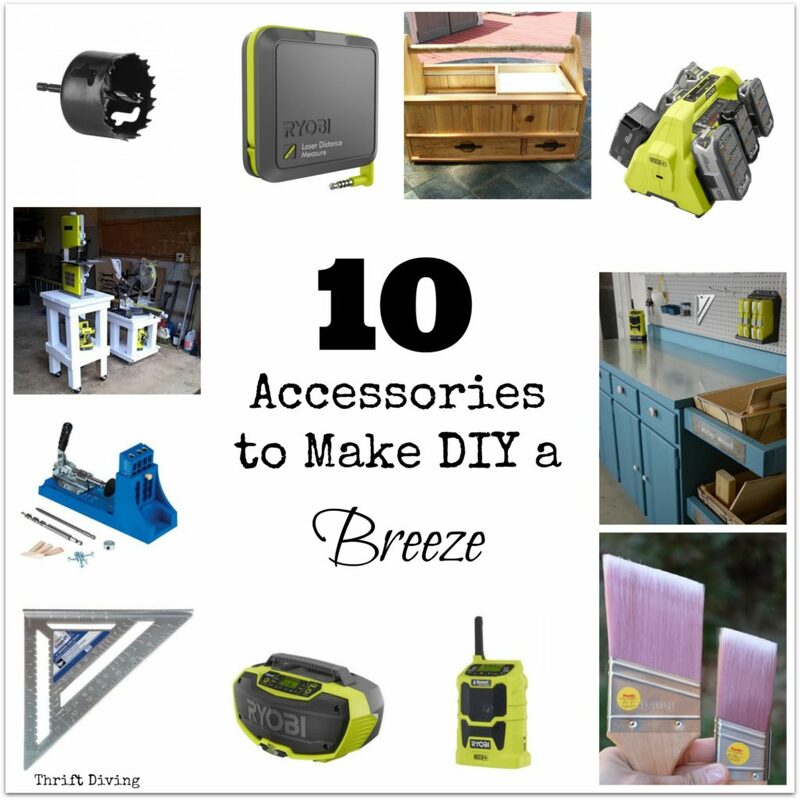 When I was first getting started with DIY, I had no idea what accessories I needed. Of course, I would wonder aimlessly around blogs, not sure what I really needed or wanted to buy. It wasn’t until last year that I discovered the “almighty” hole saw but thank God I did. I never understood how DIY’ers could cut out perfectly round circles. Dude–why didn’t I have such a steady hand like them?! Then I discovered one of my favorite DIY accessories: the hole saw! 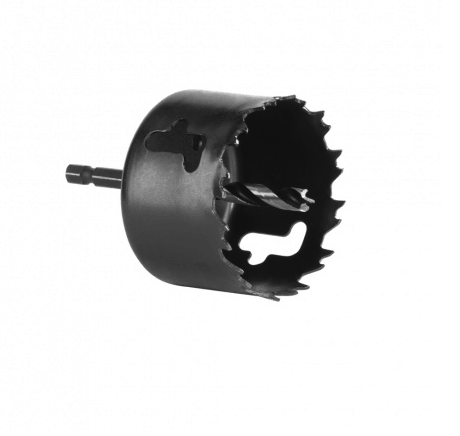 It inserts right into your drill just like a drill or driver bit and–BOOM!–you can cut perfectly shaped circles! With the hole saw, I was able to create this really cool DIY drink holder. Imagine how jacked up those holes would have been doing it free-hand with a jigsaw. I’ve got a few of the hole saws, but I’d love to get a complete set. They come in multiple sizes. Check RYOBI Power Tools for more info about hole saws or buy them at The Home Depot. Imagine owning power tools but having nowhere to put them. Yeeeeaaahhhh….that’s kind of not going to work. And when you’re out in your garage, you learn reeeeeaaaal quick how important it is to not only have space for your power tools, but you need sturdy tables. 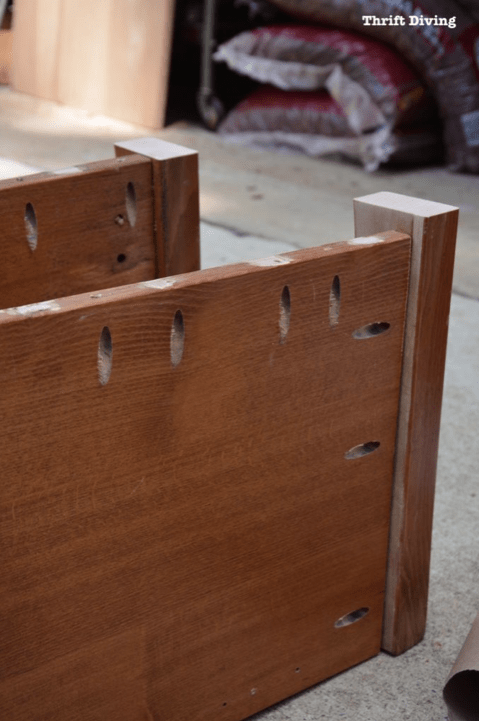 Imagine sturdy tables with–GASP!–locking wheels on them! 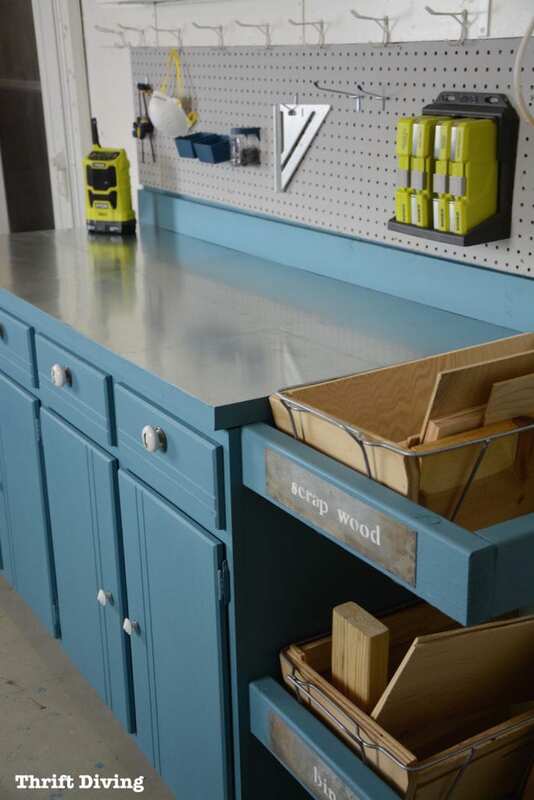 When your tools are stuck in one place, it makes it hard to shift things around to accommodate different projects, or to even save space when you need to. That’s why I love the idea of mobile workstations on wheels. These are built using 2’x4’s and 4’x4’s which are pretty inexpensive. You just have to be careful that what you’re placing on top is well-anchored down and won’t tip over!! But when you can easily move things around, it makes getting the job done easy, no matter where you’re doing your project–in the garage, or down in the driveway (which is where I frequently DIY)! 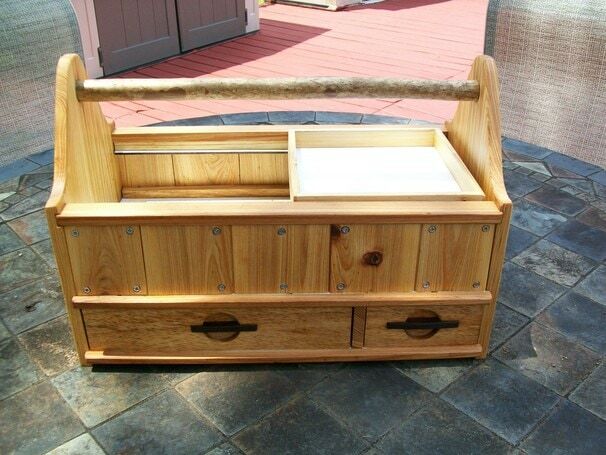 I think I may have to build some of these!! 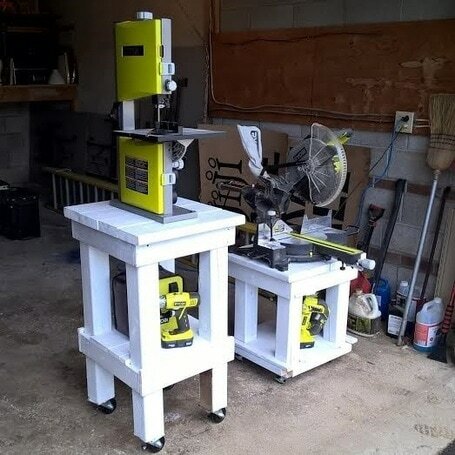 You can find out more about this project on RYOBI Nation. Wouldn’t it be nice if every DIYer had an assistant? Not only would they fan me when I’m sweating, but they’d shake the sawdust from my hair. Oh. And maybe blow out the garage and put my tools back when I’m done. Wouldn’t hubby appreciate that?? HA! But seriously, all jokes aside. It’s usually just me working on a project, which means when I need to take measurements of a room to figure out how much materials I need (like when I put up my own DIY crown molding), I don’t always have someone around to hold a tape measure. That’s where the laser distance measurer comes in! It works with the RYOBI Phone Works app so you plug it right into your smartphone, and then you hold it against the wall and measure! Seriously, it’s that easy. No yelling to your spouse to peel their backside off of the sofa to come help. And no twisted metal tape measures that can slice a finger off when it’s winding back up! 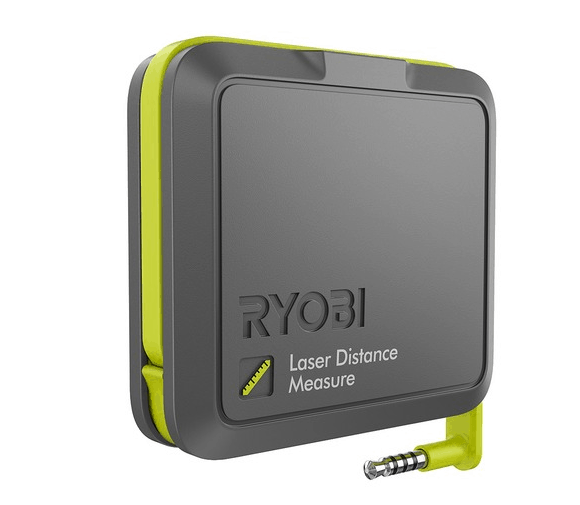 The Laser Distance Measurer is part of the RYOBI Phone Works system, which includes a Stud Finder, Inspection Scope, Stud Finder, and more. Click here to learn more about the Phone Works system. If I had to run to the hilltops and shout about my favorite accessory, you know what would be at the tip of my tongue? Oh yes….my friends… The Kreg Jig Pocket Hole System! 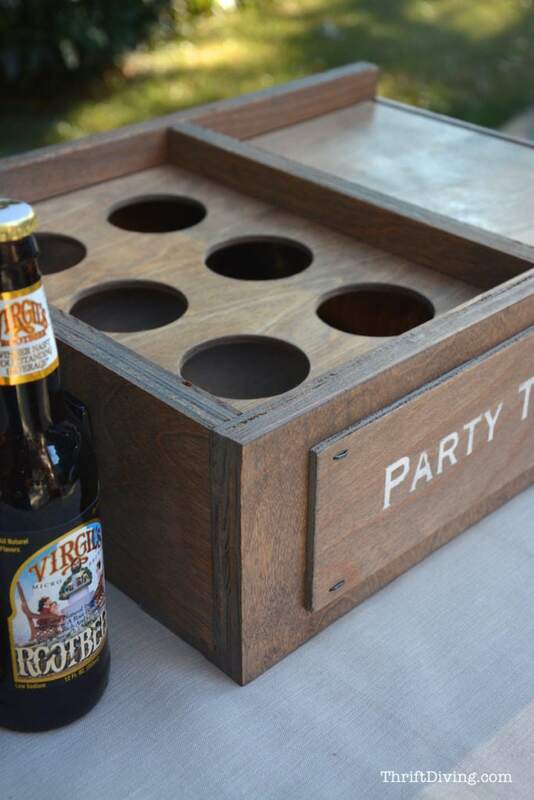 Let’s just say that you can’t be a DIY builder and not use a Kreg Jig. But the truth is that 99.99% of DIY bloggers out there today are using the Kreg jig in order to make strong joints between wood. 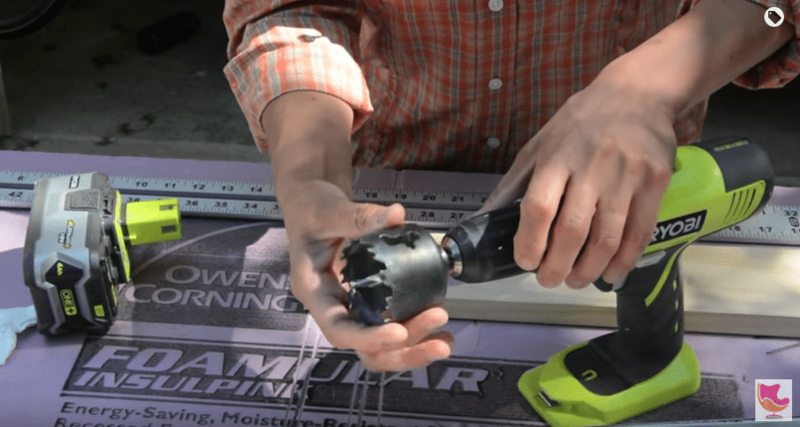 If you’re upcycling or building from scratch, this accessory becomes your best friend. 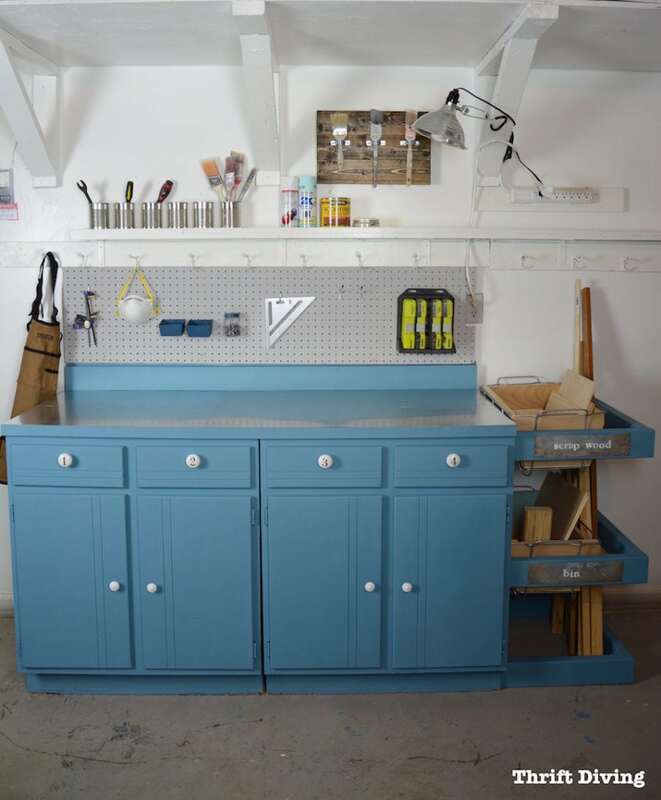 Remember this awesome workstation I upcycled from an old laundry room cabinet?? Well, it wouldn’t have been possible without the Kreg, which allowed me to join 2’x4’s to create an “arm” to hold my scrap wood! 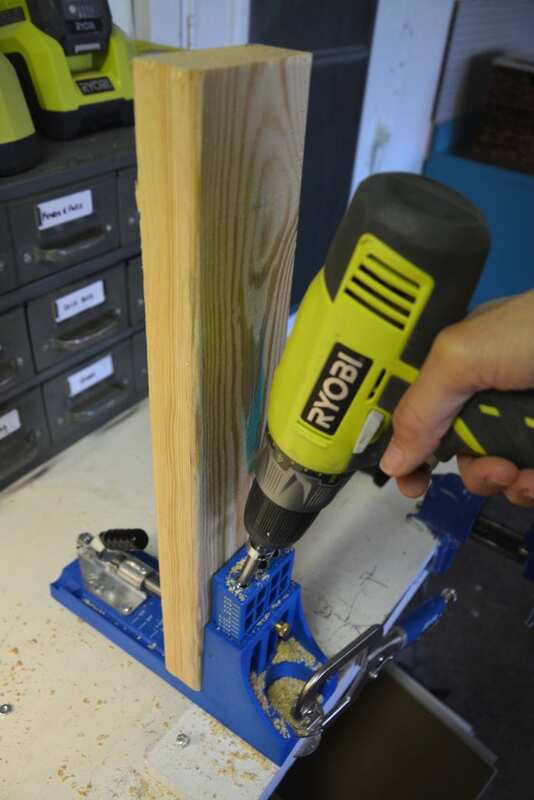 Just using your power drill, it creates pocket holes that allow you to easily screw wood together to create strong joints! Because of the Kreg pocket holes, I was able to add wooden “arms” to the side of this upcycled workstation. 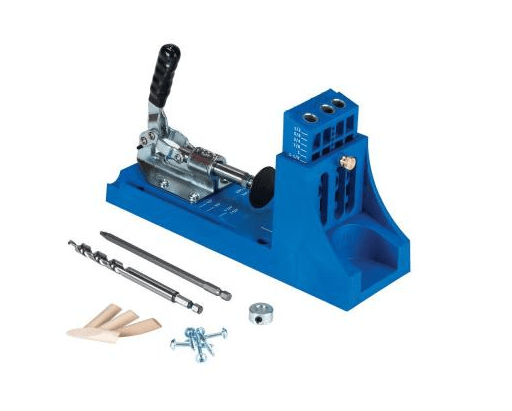 Learn more about the Kreg Jig Pocket-Hole Systems here. 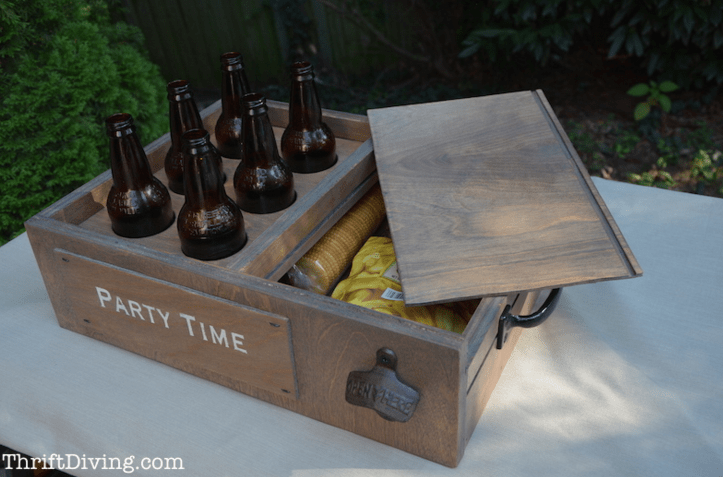 DIY Accessory #5 – An Awesome Toolbox! You’ve got to find a way to store your stuff in order to even find it. I’m not picky on what your toolbox looks like, but I did want to share that you can get as creative as you want with how you store your DIY tools and accessories! This toolbox was a DIY creation from a RYOBI Nation member, and I am floored at how creative they got by using–get this–a crape myrtle branch for the handle! I have never seen anything as cool as that! You can read more about this DIY toolbox here. I usually feel guilty sitting around watching my favorite Netflix shows, but if I’m working on a project, I’ll connect my tablet to the Bluetooth in the stereo and listen/watch all the things I never give myself permission to sit down and enjoy (Serena never sits. LOL). And because they’re rugged, I don’t worry about sawdust getting on it. Also, when my phone dies, I can plug it into the USB port and charge it without having to leave it in the house and miss calls! :). They run on battery, too, so I can take them even to the backyard when I’m gardening. Love that! I usually keep the stereo in the garage and the smaller compact one in the kitchen! 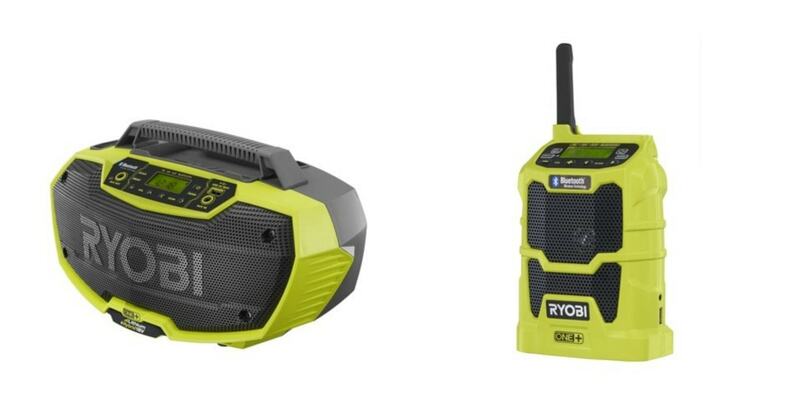 Learn more about the RYOBI Compact Radio here. It happens to me all the time: I’m right in the middle of the project and–CLICK, CLICK–the battery dies and my power tool has stopped working. It happens to everyone, right? But when you’ve got multiple batteries all charged and ready, you can jump right back into your project without missing a beat! When you’re DIY’ing, just make sure you’ve got the Supercharger, and get lots of batteries. 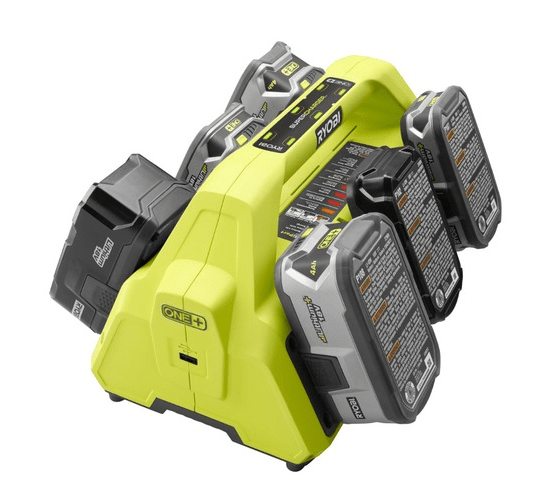 The 18V RYOBI ONE+ works on over 70 tools, so it doesn’t matter what tools you’re using–you’ll always have a battery ready for you! Brushes….ahhh…they can perplex people because there are so many of them to choose from. 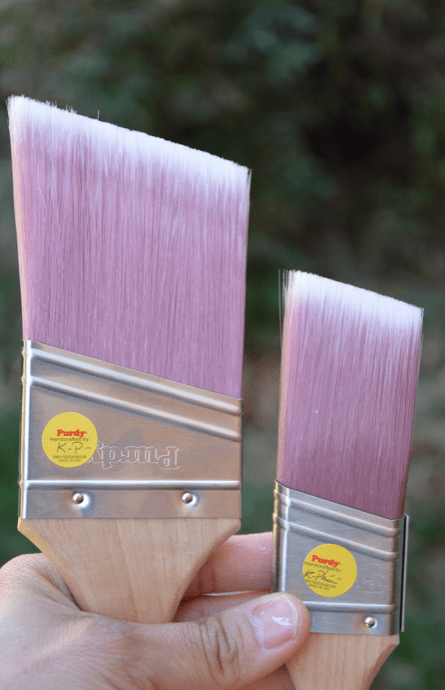 But I’ve always stayed true to recommending angled paint brushes! The reason why is because they’re so easy to cut in when using them, whether you’re painting furniture, painting along the ceiling (if you’ve got a steady hand! ), or just want a straight line. I usually use Purdy angled paint brushes because they’ve always performed well with regular latex and with furniture paints. Regardless of what brand of paint brush you get, look for ones that have angles so you can cut in accurately. It makes all the difference in the world between doing a good job and doing a great job when painting! Plus, it makes it faster when you don’t have to go back and fix mistakes! Once you’ve been DIY’ing for a while, you’ve got this massive collection of drills, bits, router bits–you name it. After awhile, they start to pile up, and it becomes a guessing game trying to figure out where all your bits are! 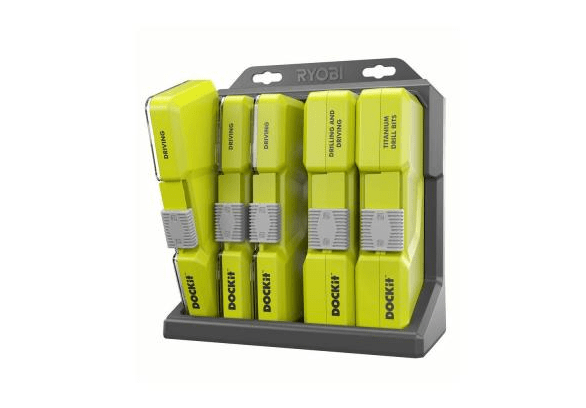 With the RYOBI DOCKit, it stores all your bits together so that you’ve got them in one handy little place! You can see in the picture below I’ve got one hanging on the pegboard above my workstation! No more running around trying to find where my bits are! You can buy the DOCKit at The Home Depot. I don’t trust myself to draw a straight line. Much less creative a right angle. 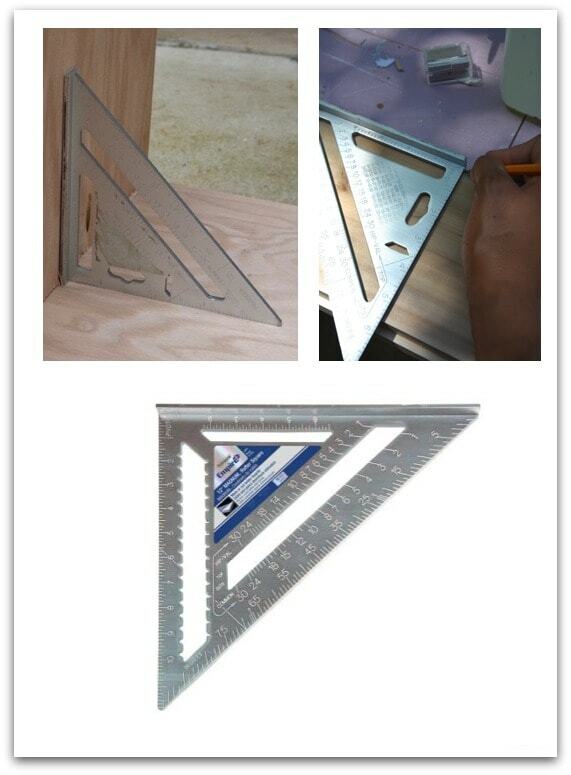 One tool that makes DIY soooo easy when it comes to drawing straight lines and making sure your angles are correct is the rafter square! When building or joining two pieces of wood, always use a rafter square to eliminate having to go back and fix sloppy angles! You can buy rafters squares from The Home Depot. There are a bunch of other accessories I could include on this list, but these 10 are absolutely my favorite and recommended! Win $300 in RYOBI Tools & Accessories! So now that I’ve told you what I love, it’s time to get some of those tools and accessories! My awesome partners at RYOBI is offering one lucky reader (sorry, U.S. residents only!) $300 worth of RYOBI power tools and accessories! HOW TO ENTER: Check out at least one of the accessories above to learn more about it, and then leave a comment telling me which accessory is your favorite! For another entry, pin this post and leave an additional comment below telling me that you pinned it! GIVEAWAY IS NOW CLOSED! « I Spoke at My First Home & Garden Show: A Recap! I love #6 because whether you’re doing a fun project or a tedious project, everything always comes together better with music! I pinned your awesome article!!! I would really like to try the 6 port supercharger. I agree that it’s always right in the middle of a project when the battery goes dead. I would also love to try the laser measurer as well. That looks like a really sweet one. The hole saw would be so useful to have holes on the back of furniture for cables to run through, for that organized look and media center. Thank you do the opportunity to win something, I just saw you on tv and discovered these tools that are so easy to use! The Hole Saw is a must have for installing new bathroom cabinets.